This National Film Unit documentary follows the British Lions 1959 rugby tour to New Zealand. 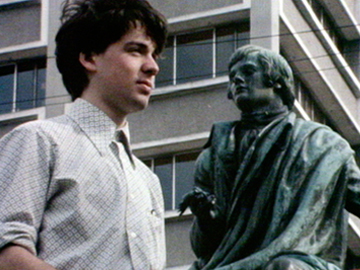 Prior to live televised sports coverage, match highlights were rushed onto cinema screens; NFU tour coverage was later edited into this feature length doco. On the field the series was won by the All Blacks 3-1, including the first test where Don Clarke famously kicked six penalties to beat the Lions’ four tries. Off the field, the Lions visited farms and resorts, drove trout and tried Māori song and dance with guide Rangi. A star back for the Lions was Peter Jackson. 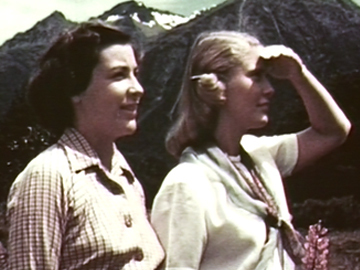 This 1952 tourism film promoted New Zealand as a destination to Australians. In the 1950s the Kiwi tourist industry lacked accommodation and investment. But new opportunities were offered by international air travel — like the Melbourne to Christchurch route shown here, flown by TEAL (which later became Air New Zealand). Produced by the National Film Unit, this promo touts the South Island as an antidote to crowded city life in Melbourne and Sydney. Road trips offer glaciers, lakes, snow sports, motoring, angling, racing, and scenic delight aplenty.